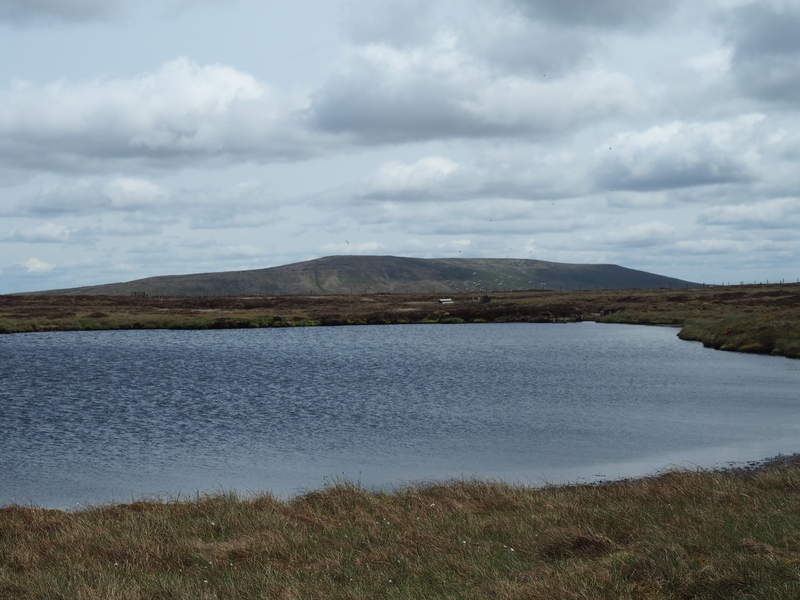 South Grain Tarn is, along with Cray Tarn, one of two tarns that are situated on Cray Moss to the east of Yockenthwaite Moor in upper Wharfedale. When I visited the tarn in 2015, on a long walk with a couple of friends from Marsett over Woldside and Yockenthwaite Moor, it was the seventh and final tarn that we passed. 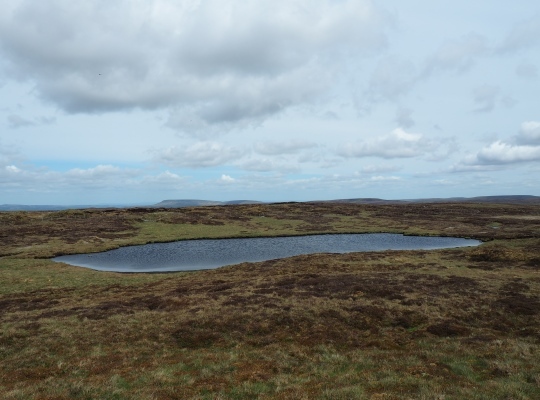 After the disappointments of Cray Tarn which has shrunk into a rather disappointing puddle, and Middle Tongue Tarn which has almost disappeared altogether, it was with some relief that when South Grain Tarn came into view it was still full of water and in a healthy state. The ‘easiest’ approach to South Grain Tarn is from the Gilbert Lane track, about half a mile away to the east. There is no path so the going underfoot can be rough but unlike the tarns further west it is worth the effort and features a fine view south towards Buckden Pike.